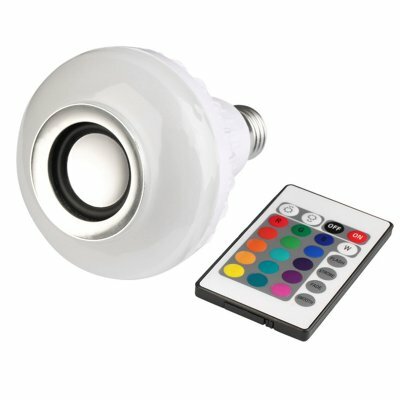 Successfully Added Intelligent E27 LED White + RGB Light Ball Bulb Colorful Lamp Smart Music Audio Bluetooth Speaker to your Shopping Cart. It's not always practical or cost-effective to have a sound system in every room of your home. A LED light bulb with built-in Bluetooth speaker.